Sturgeon Class Attack Submarine: Laid down, 30 June 1967, at Electric Boat Division, General Dynamics Corp., Groton, CT.; Launched, 17 May 1969; Commissioned, USS Flying Fish (SSN-673), 29 April 1970; Decommissioned and simultaneously struck from the Naval Register, 16 May 1996; Final Disposition, disposed of through NPSSRP (Nuclear Powered Ship and Submarine Recycling Program) at Puget Sound Naval Shipyard, Bremerton, WA., 15 October 1996. 170k Mrs. John W. Harvey flashes her falling flask on Flying Fish's (SSN-673) flag at her launching at Electric Boat Division, General Dynamics Corp., Groton, CT., 17 May 1969. USN photo courtesy of Dale Hargrave. 650k Bow on view as Flying Fish's (SSN-673) flags flutter fast on launching at Electric Boat Division, General Dynamics Corp., Groton, CT., 17 May 1969. Electric Boat Co. photo courtesy of Scott Koen & ussnewyork.com. 500k Flying Fish's (SSN-673) flags flutter fast on launching at Electric Boat Division, General Dynamics Corp., Groton, CT., 17 May 1969. USN photo # NPC 1139486, courtesy of Scott Koen & ussnewyork.com. 21k Commemorative postal cover marking Flying Fish's (SSN-673) launching at Electric Boat Division, General Dynamics Corp., Groton, CT., 17 May 1969. Courtesy of Jack Treutle (of blessed memory). 30k Flying Fish (SSN-673), (closest pier forward gourp) 1970's at Norfolk VA. Courtesy of John Hummel, USN (Retired). 56k Flying Fish (SSN-673), underway, port side view, circa 1972-73, off Norfolk, VA. Courtesy of Dennis M. Bartholomew. 64k The Flying Fish (SSN-673) after surfacing through the ice during SCICEX 1977. Photo courtesy of Tony Alter via Bill Gonyo. 47k Sail of the Flying Fish (SSN-673) protruding through the polar ice in her 1977 visit to the North Pole. USN photo courtesy of US Navy Arctic Submarine Laboratory & csp.navy.mil. 345k The Flying Fish (SSN-673) in Norfolk, Virginia, 7 November 1977. Photo courtesy of Tony Alter via Bill Gonyo. 361k The Flying Fish (SSN-673) pulling back in to St. Croix in April 1979. Photo courtesy of Tony Alter via Bill Gonyo. 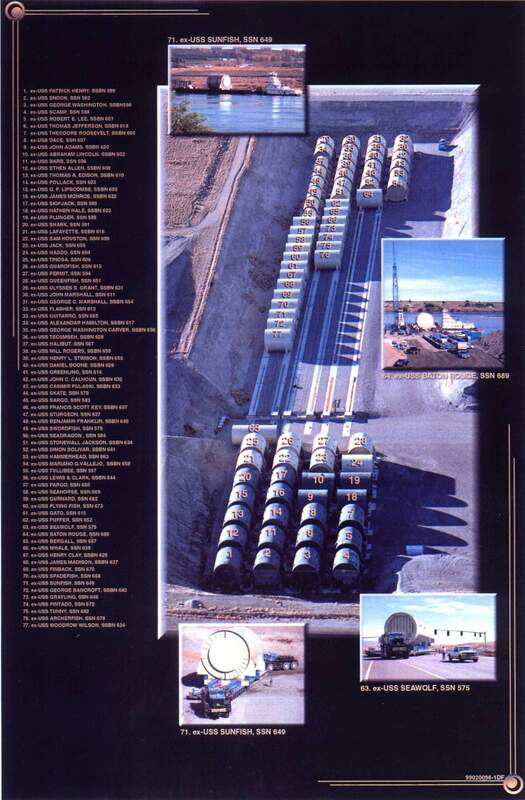 1.12k 26 Page PDF Welcome Aboard the Flying Fish (SSN-673), circa early 1980's. USN photos courtesy of Scott Koen & ussnewyork.com. 112k Flying Fish (SSN-673) underway off the coast of New London in 1983. Official USN photo courtesy of Wendell Royce McLaughlin Jr.
542k CDR Joe Lario was my CO in 1983-4, who signed the above photo with me as a then LT Enloe, as OOD. These were taken off the coast of New London in 1983 from a Navy tug before we deployed. Photo courtesy of Dan Enloe. (CAPT, USN Retired). 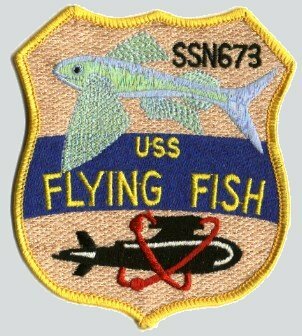 49k Commemorative postal cover marking Flying Fish's (SSN-673) Sea Ops off the Florida Gold coast, 30 June 1983. Courtesy of Jack Treutle (of blessed memory). 600k A bow view of the nuclear-powered attack submarine Flying Fish (SSN-673) underway off Cape Henry on 1 February 1991. Defense Visual Information Center photo # DN-ST-91-05705 by PH1 David B. Loveall, courtesy of dodmedia.osd.mil. 72k Flying Fish (SSN-673), dockside, starboard view at Gibraltar 26th June 1994. Courtesy of Daniel Ferro.